The Church of England collects a huge array of information about its parishes, from attendance figures to census results. Bev Botting, Head of Research and Statistics told us that this information is most useful to the parishes themselves – who can use it to think about their own mission. She’s excited about the way good data can help local churches identify key opportunities and challenges – and respond with new projects. 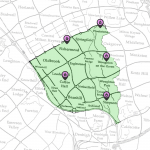 Her team have been producing “Parish Spotlights” over the past couple of years, which give a brief summary of significant information for local churches. She told us about one parish in which the local vicar discovered, to his surprise, that there were many single mothers. He set up a new mums and toddlers group which met a need he hadn’t even known was there! It was only thanks to the statistics from Parish Spotlights that he even knew there was a problem! Bev Botting and her colleague, Charlotte Aughey, met the NDN Steering Group in May. The discussion focussed on how the Church of England can serve the needs of deaneries in their Mission Action Planning. What information do deaneries need, and how should this be presented? The 10th annual conference, chaired by Bishop David Walker, aims to present current results from research in contemporary theology so that evidence based policy can develop to influence key change agents within dioceses. It also aims to develop networks of informed practitioners in this area of research. The conference will include invited keynote speakers for the plenary sessions, together with four streams of Curacy, Growing the Church, Millennials, and Ministry. We particularly want to encourage students to attend in 2016, so there will be an expanded poster section for student research. To apply to have a poster displayed at the conference, please send a brief abstract (up to 250 words) to statistics.unit@churchofengland.org, by Friday 1st April. Students are also invited to attend a fringe meeting immediately after the conference to network with other students and share their work. After registering, you will be emailed an invoice for the conference fee. This includes a buffet lunch, coffee and tea. We hope very much to see you in May. Lay Chairs of Deaneries are busy, active, people, playing a positive role in the life of the Church. 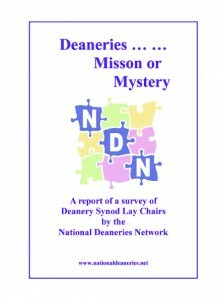 Our survey of lay chairs paints a picture of dynamic and productive Deaneries around the country, most of which take a lead in mission locally and provide a valuable source of support to their parishes, and which are keen to be even more active. In fact, they are frustrated that, through lack of recognition of the potential, they can’t do more. Does this sound familiar? Maybe not: look more closely, and, while reporting favourably on their Deaneries’ productivity and keenness to act, almost half the lay chairs who responded think that the Deanery “isn’t sure about its role”, and two-thirds believe it “is a mystery to most people”. A paradox! Perhaps the answer is that no matter how dynamic and useful the Deanery is, this message isn’t being communicated to the people in the pews on a Sunday morning. Nor does it seem to be accepted by some of the clerical establishment. And perhaps, more widely, the fact that the Deanery message isn’t getting through lies behind the conventionally negative views of Deaneries and parish representatives on Deanery Synods. One third of Lay Chairs were sufficiently interested and committed to respond to the survey. In all, 207 Lay Chairs submitted responses, a pleasingly high response rate of 32.6%. 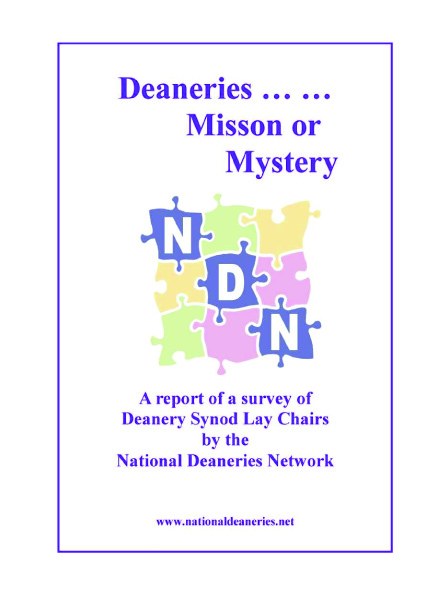 The survey was sent to all Deanery Lay Chairs for whom we had email addresses, and to any others we knew of or who contacted us having been alerted by a colleague (including some by hard copy). This amounted to 634. The survey was also sent for information to Diocesan Lay Chairs and Diocesan Secretaries. Paul Towner’s sabbatical study into Deaneries during September and October 2013 enabled him to read a wide range of materials, many of which are not available on the web or in any library. 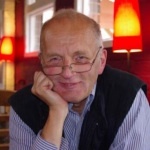 So in this archive section he has put together the report he has written, entitled “Best Practice in Deaneries”, and includes links to 19 other documents that are connected with the subject. This is a limited survey of rural deans who attended the Sixth National Conference on the Deanery and a smaller number of rural deans in the west of England to whom the survey form was given. There were thirty useable replies. Deanery meetings. excluding. Chapter & Synod. Archdeaconry. & Diocesan. Mtg. as RD. The purpose of the survey was to see if there was evidence to support the increasing demand for the post of rural dean to be designated as full time or part time and associated with another less than full time responsibility. The survey shows that the “average” (arithmetic mean) proportion of time spent on rural dean’s work was 19.6%. The most frequent (mode) amount of time spent was 16% and the middle of the range (median) was 13.5%. The extraordinary maximum of 71%, which one respondent spends in his work as rural dean, is of note. In this case, the individual concerned was deliberately appointed as rural dean along with a city centre parochial appointment. Table I shows the various figures.